Opening Reception: Friday, January 23 from 6:00 p.m. until 8:00 p.m.
Takuji Hamanaka is a master of two worlds. Trained as a professional woodblock printmaker at the Adachi Studio in Tokyo, Japan, the artist has a deep understanding of this pivotal Japanese artform. Since moving to New York in the 1990s, Hamanaka has also worked with contemporary art practices. The result is an elegant hybrid: Unique images created through traditional printing techniques. While all of the works in the exhibition are unified by their materials, there are variances in the structures we observe. Through the Windows, for example, has a central axis to its pattern, where rectangles overlap to create subtle transitions from negative to positive space. Works such as Landsliding and Let Down follow a different path. Their illusions of curvature bring to mind the descriptions of flowing Space­Time, as the Universe itself bends to the will of the Gravity and Dark Energy that infuses it. Hamanaka takes his process a step further in Argyle and Where Are We Supposed to Go? Here, we see the hand of the artist emerge, as he delicately makes fine incisions into the collaged surface, allowing the white sub­surface to be revealed. These lines, while somewhat geometric, are slightly wavy and imperfect, and are an interesting counterbalance to the pristine nature of the Gampi layers that they cut through. Basket is yet another turn in the road for Hamanaka. Here he has overlapped his own process, and color now plays a more central role. The Gampi layers have taken on new forms altogether, leading to another body of work. 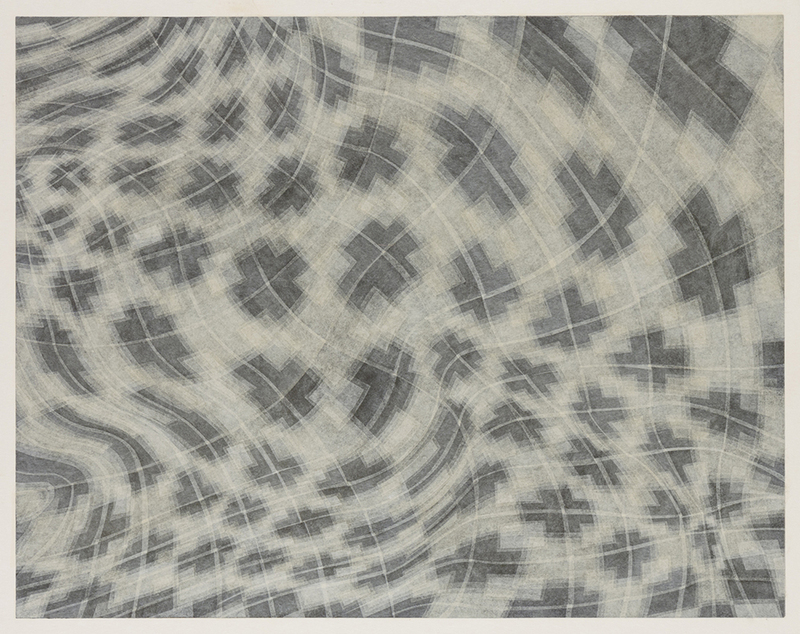 Takuji Hamanaka brings us a completely new way of enjoying time­honored techniques, and changes our understanding of printmaking itself. For more information, please visit Owen James Gallery’s website.